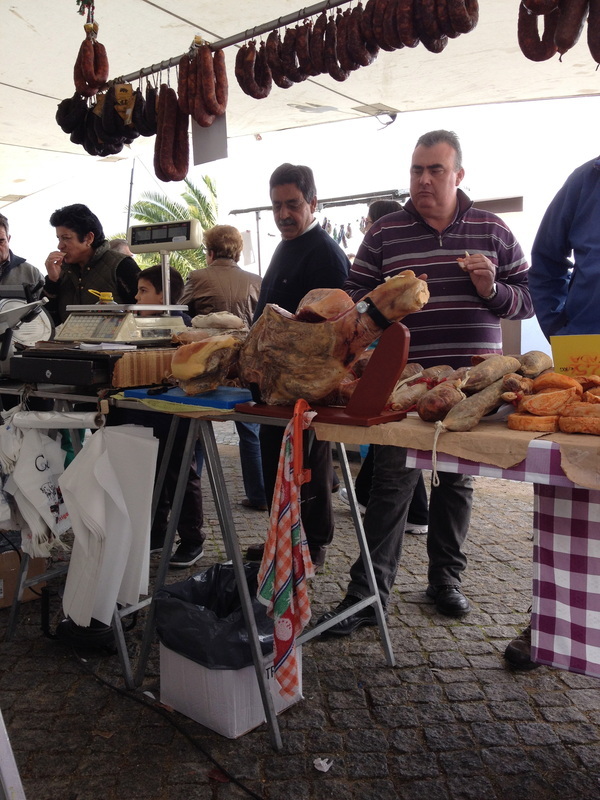 While most larger towns here on the Eastern Algarve have a permanent market and the villages will have them once a week there are other monthly markets that move around Eastern Algarve, so that each weekend there will be one somewhere - such as Tavira, Vila Nova, Moncarapacho and Castro Marim. 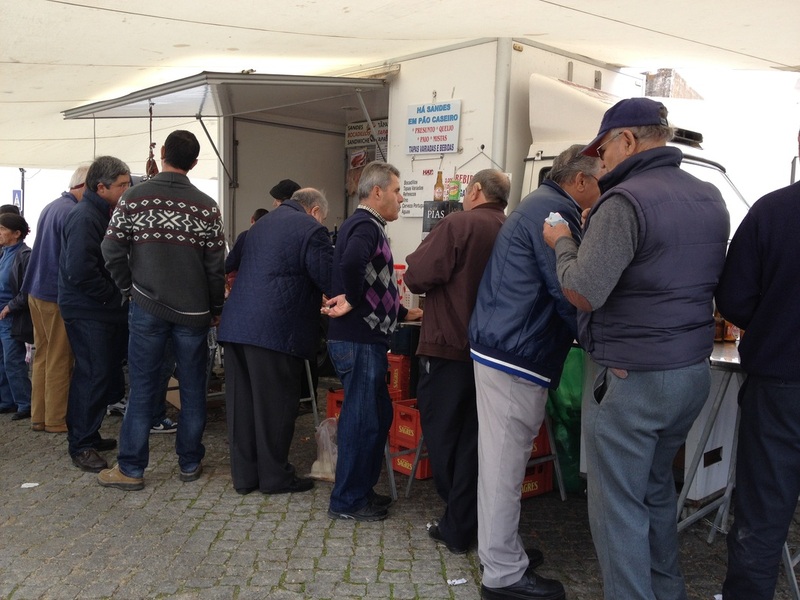 Stallholders can be local, others are Spanish and some look like gypsies of which there are many hereabouts. 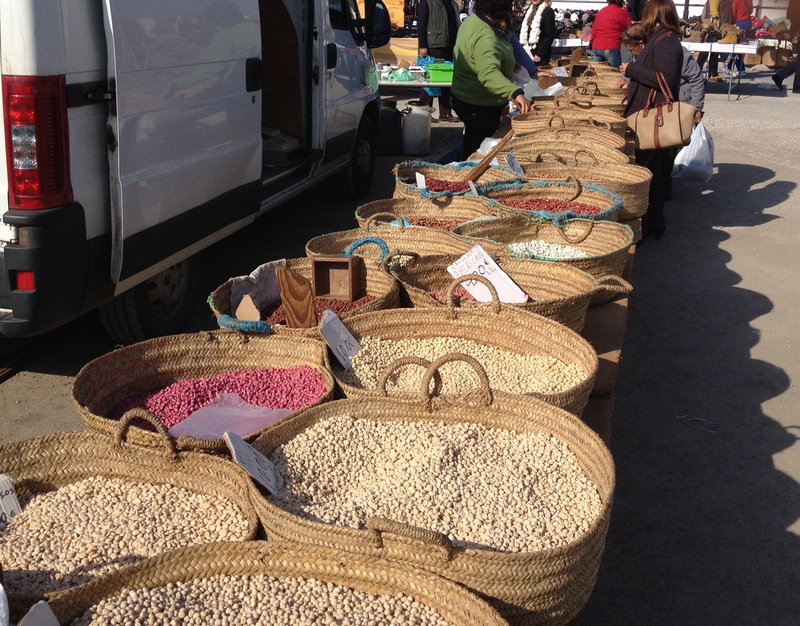 Some of these markets are known as gypsy markets - not regarded as a derogatory term at all. 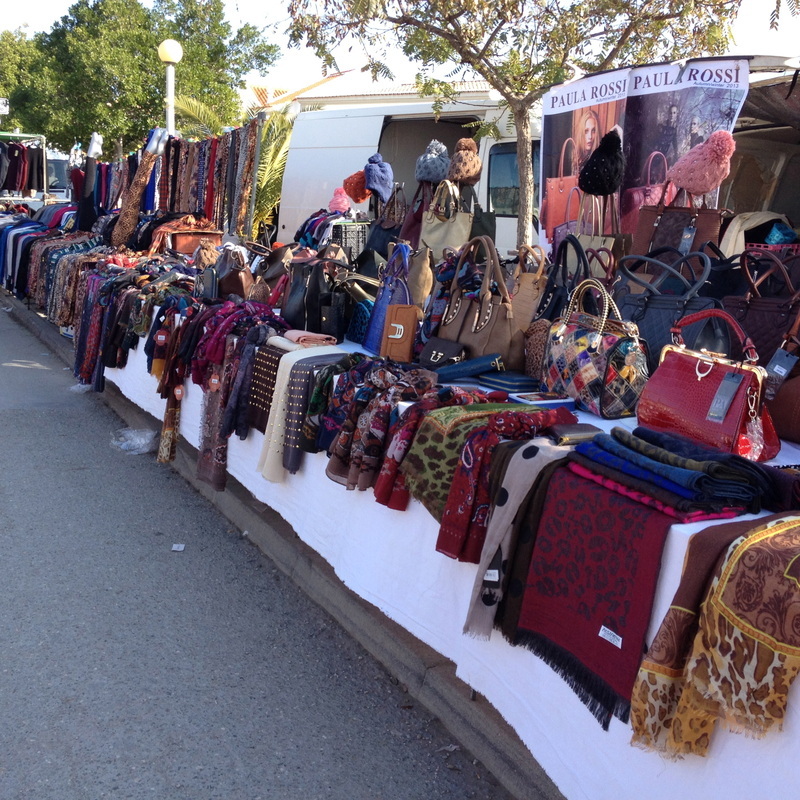 Castro Marim is one of the bigger monthly markets and takes place in the shadow of the old castle. It fills the narrow streets and includes an area usually used as an aire by the motorhomes from northern Europe down in the Algarve for the winter and they have to move out for the day. 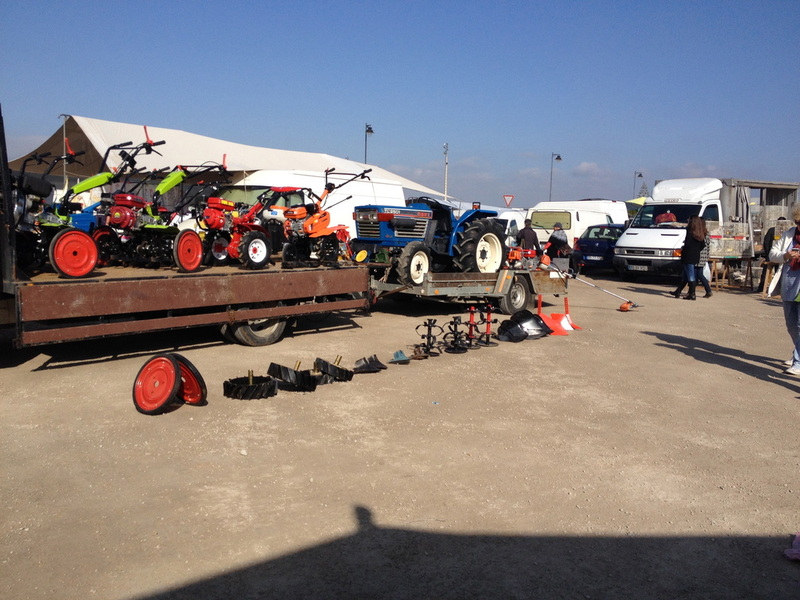 This market does not quite sell everything but it does have a pretty wide range of goods for sale - from tractors and farm machinery to baby ducks and caged birds. There are always a good number of "snow birds" mostly from Holland and Britain but this market is not a tourist market but is frequented by locals and a few from Spain which is only a hop and a skip away. 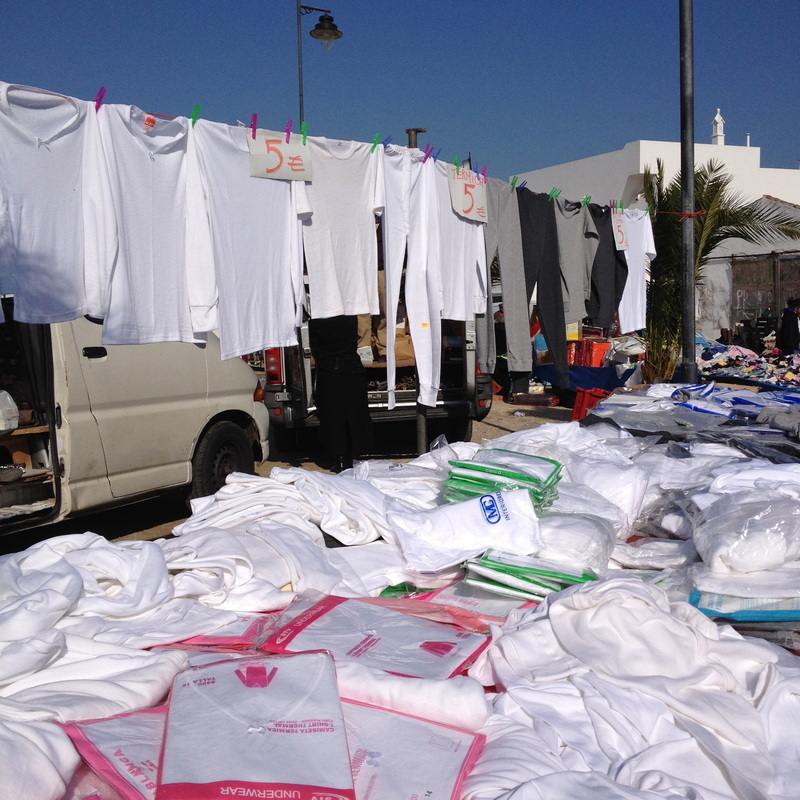 For cheap clothes, underwear, footwear or bags then this is the place to come. Ten pairs of socks for €5 or a colourful scarf for €2.50 is very tempting. As well as fruit and veg and the clothes and household goods there are also stalls selling religious/superstitious paraphernalia. 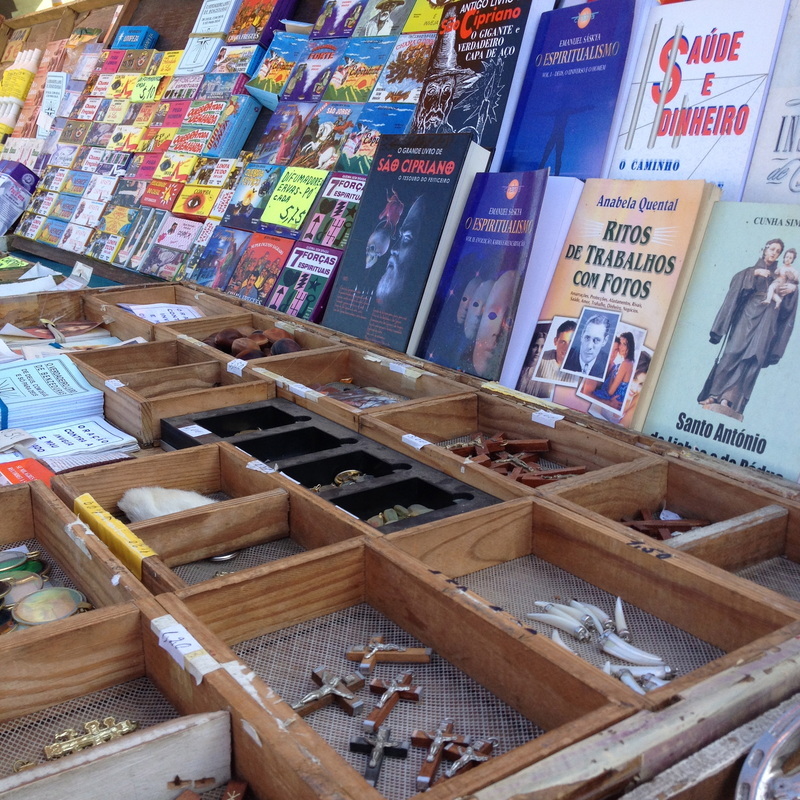 Not only the usual rosary beads and crucifixes here but almanacs and potions to promote good health and trinkets to keep of the evil eye - o mau olho as the old smallholder may have said. 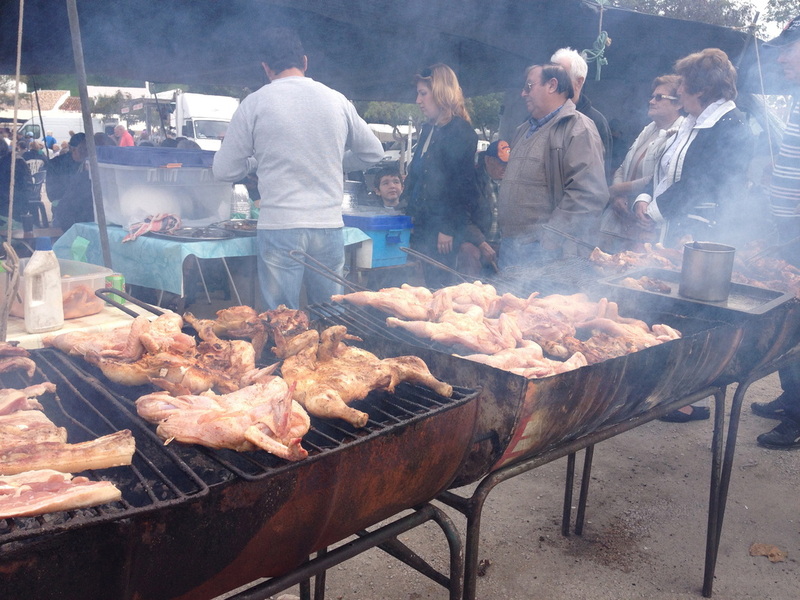 One of the features we really like at the Castro Marim market are the food stalls - chicken, fish and pork steaks all cooked over charcoal fires in old oil drums is all available to be washed down by beer or home brewed wine or perhaps just a galao (milky coffee) or abatanada (black coffee). 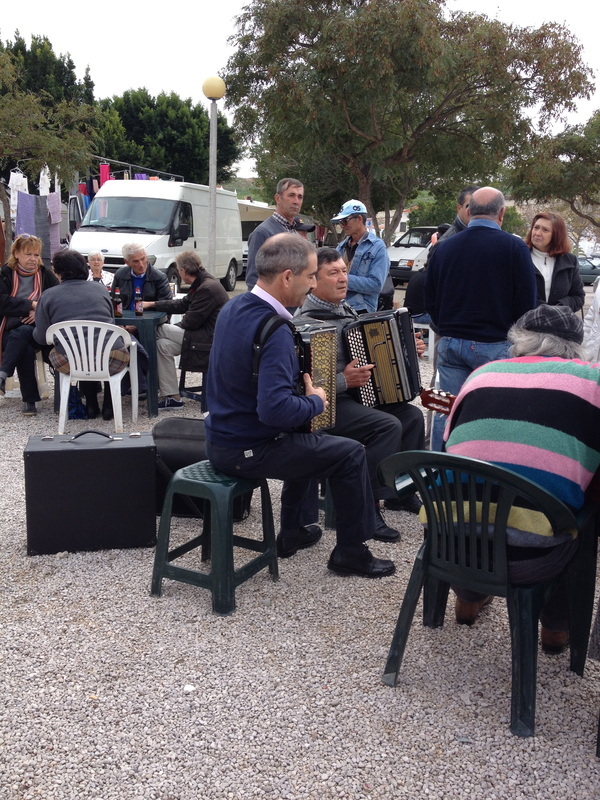 Sometimes there are some strolling musicians amongst the alfresco diners thus adding to the atmosphere - music, smoke and the smell of barbecuing chicken or sardines. 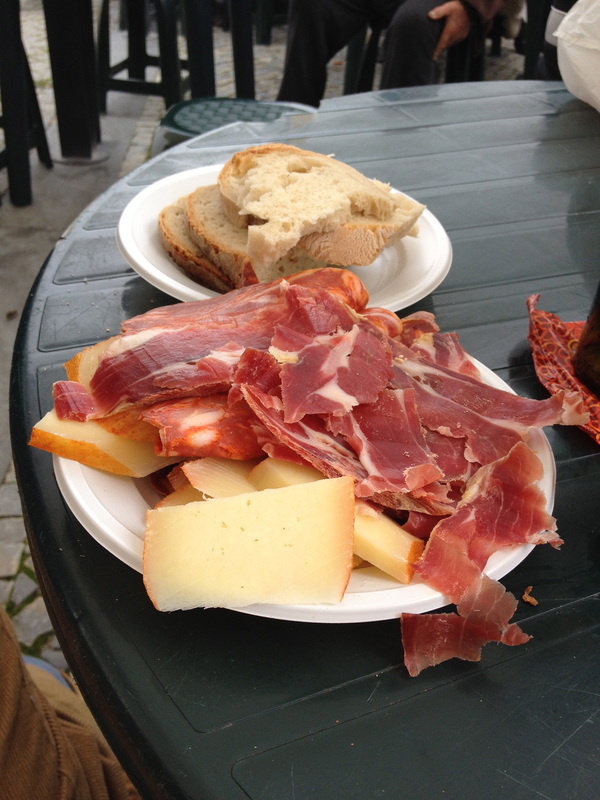 Our favourite is the tapas stall where you can get a large plate of tapas variades - jamon, local salami and cheeses plus bread for €7 to be washed down by a plastic cup of local alentejo wine. By noon the place is emptying and by 2pm Castro Marim is back to normal as a quiet backwater close to the border.